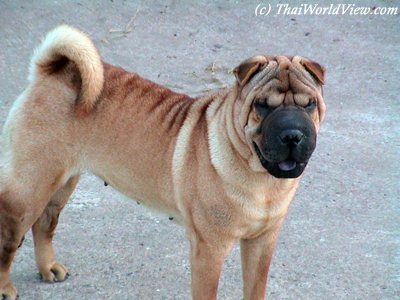 Thai dogs (หมา), as everywhere in the world, are favorite pets. 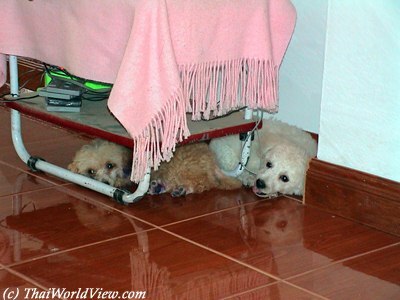 Thai people live in harmony so they always sympathise with the under dog. 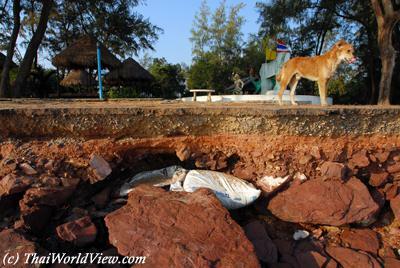 Thai people often feed stray dogs as Buddhist people cannot stand seeing a creature starving if they can help it. 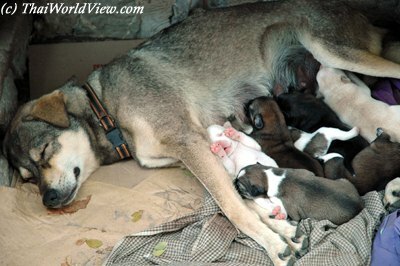 They are also called "street dogs" or "Soi dogs". 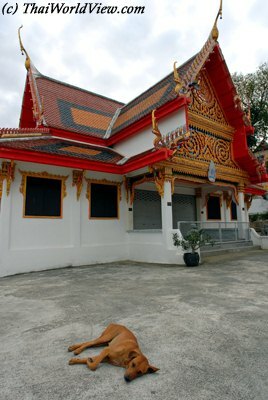 Stray dogs can often be seen in Thai Buddhist temples. Some of them can be quite dirty and threatening in remote temples. At least they get food from the monks. 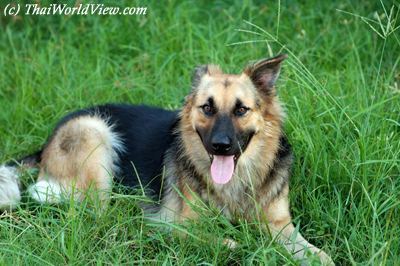 "PAK MA" (ปากหมา) is a Thai idiom linked to dog. It means somebody with a bad mouth. Many old people living alone in villages often own a few dogs in order to frighten any robbers, who would wish to enter in the house compound at nighttime. 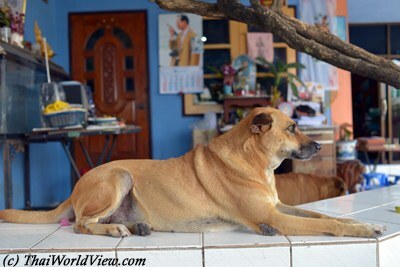 One of the most famous Thai dog is Thongdaeng, the Thai King Rama IX's dog. In year 2002 a book written by the Thai King about Thongdaeng was sold out. In year 2002 Police arrested a man with quarter of a tonne of dried dog meat. He was bringing regular loads of the meat to Bangkok from the northeastern town of Sakhon Nakhon. Insult "CHAT MA" (ชาติหมา) is often heard in Thai action movies whenever some ruffians harass a lady. It means those people act so badly in their previous life that they have been reincarnated in dogs in this life! This is a very strong insult. 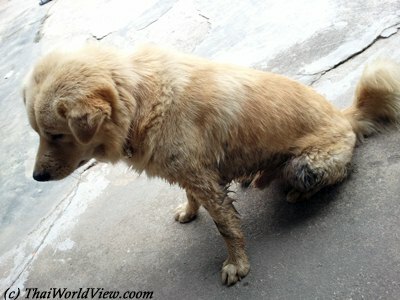 Handicapped dogs can often be seen in Thailand as many of them are hit by cars speeding while driving into upcountry villages. Stories of Thai trucks with hundreds of stolen dogs destined for the dog meat restaurants of Hanoi, Vietnam, made big headlines in foreign newspapers.